I love my master bedroom. It's located on the southeast side of the house and gets the best morning light. In the winter time the light is softer - have you ever noticed that? There is no TV in this room. That has always been our rule and I'm glad for it. This room is not perfect. You can't tell in the picture but our dresser is totally scratched up. Our lab was very scared in a storm once and jumped on top of it. Paul says that's part of the story of our lives. I like that point of view. A chair to sit and put your socks on. I bought this little cutie in downtown Edmond a few years ago. It was yellow and I painted it. A well made bed. We have a comforter that matches the pillows also but I just enjoy this matellase so much that the comforter rarely comes out. A few days ago Kim at Daisy Cottage asked us if we make the bed. I have to! The world doesn't feel put together unless the bed's made. We don't have a tv in our room either. You've got great colors and I love your sock chair! First of all, what a pretty room. I love it. We have a TV in our room and I hate it. Thank you for your comment about my dogs smiling... that was one of the nicest things anyone has said. Are you out from the ice storm? I love your bedroom. The bookshelves are so wonderful! I love the lightness of your room too. Very serene. I love the chair and the built in book case. We have lots of attic space behind our room that I would like to do something like that with. Your MB is really beautifully done. Love the soothing wall color and the iron piece. That chair has beautiful detail on it. I always make the bed. Sometimes it's close to noon before it's done. But I can't stand to get into an unmade bed. Isn't that silly? Your bedroom is really well put together. Your Paul sounds like a gem. Your bedroom looks very serene & restful. I'm impressed that there's no TV! My husband would die if there wasn't a TV in our bedroom, LOL! I always enjoy seeing people's personality coming out in their home decors. Your bedroom is beautifully decorated, and I like the story of your dog in the storm...I say scratches add character. We do not have a television in our bedroom either. We both like it that way. By the way, the "Nothing Bundt Cakes" bakery is in Grapevine, TX. Love your room....the red accents are gorgeous! That is so true about scratches adding character...I just have to continue to remember that! My wood floors are getting very scratched from Gertie's nails...even when I have them clipped. She and the cat love to chase each other around the house and it's so funny to watch, but sometimes I get upset because I think I can never have a perfect wood floor. Between dogs, cats, and boys, it's impossible! Your bedroom is very pretty and clean!! I agree with you on the bed being made. The red chair is so pretty. We have a tv in our bedroom. I don't like it. I like to read before I go to bed...in the quiet! I used to make the bed every day and trying to get back in the habit. What a sweet way to look at the scratches on your dresser. Of course I like shabby chic & garden cottage decorating so scratches are charming to me. Chips, dings, scratches they give a sense of history. Your bedroom is beautiful, morning light is my favorite, one of the reasons I can't bear to "sleep in". I am in love with that red chair! 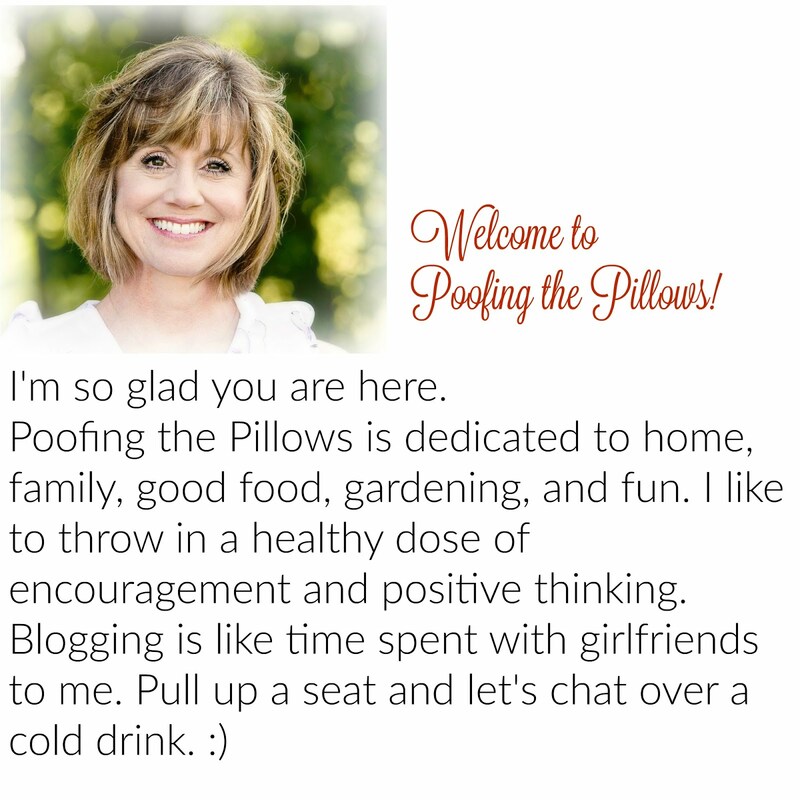 I love your beautiful blog...I can't believe I haven't dropped in before! I'm slippin'. Your bedroom is beautiful. I just love red! I LOVE the pillows and I caught a little peek of a very cute curtain. I will add you to my blog roll...looks like we have a a bit in common! My favorite is the chair you painted ... it's lovely. I do have a television in my bedroom but I don't share my bed with anyone so it's kind of nice to have HGTV going softly with timer set for 60 minutes...I never even know when it turns itself off. And I have the sweetest decorating dreams. Gorgeous MB! I feel the exact same way about my bed being made. I love that red chair, too. beautiful room! We don't have a tv in our bedroom either. We used to, but always ended up apart and watching our own thing. We spend alot more time together now that we only have one tv!! Your bedroom is beautiful. It's so bright and cheery. I really like your husband's way of thinking. I make my bed as soon as my feet hit the floor! If my beds aren't made I feel like the whole house is messed up.Love your room. Your bedroom is just gorgeous! :) And the lighting is so cheerful. I agree with your husband, I like furniture that has a story behind it, too. :) My favorite is that sweet little chair!